Connect with Us NowBook a Free Consultation Today! Rubén J. Padrón, PA is an experienced attorney’s office that has been serving Miami-area clients since 2005. We implement a personalized approach to legal services that ensure the needs of our clients are met and their cases are handled appropriately. We implement a tailored approach to legal services. Meeting the individual needs of our clients is always our top priority. Our firm offers several different types of legal capabilities, ranging from estate preparation to personal injury. 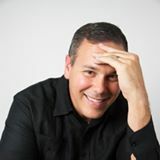 Rubén J. Padrón is a graduate of American University’s Washington College of Law and Florida International University. For more than a decade, Rubén J. Padrón, PA has been providing clients in and around the Miami area with knowledgeable legal services. Rubén J. Padrón offers his expert services as a real estate, personal injury and estate planning attorney in Miami, FL, bringing a personalized, one-on-one approach to legal oversight. Whether you’re in need of assistance with real estate transaction or are hoping to prepare an updated will, count on our firm to provide you with legal services and advice that meet the needs of your specific situation. 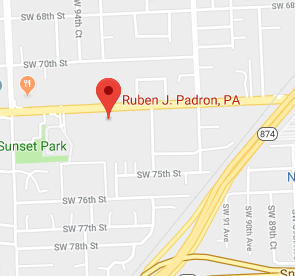 If you’re looking for a high-caliber personal injury attorney in Miami, FL, look no further than Rubén J. Padrón. We’re capable of providing high-quality legal services to both individuals and organizations. If you need a corporate attorney in Miami, FL that provides one-on-one advice and personalized services, you can count on us to provide you with exactly what you need. Additionally, our firm has the expertise necessary to navigate South Florida’s hot real estate market. Don’t sign any paperwork on new property before consulting with a qualified real estate attorney in Miami, FL. We have knowledge and know-how to help you ensure that your property transactions are air-tight. Don’t waste any time in contacting our firm today to get the legal help you need. If you’re in need of legal services, work with an attorney who cares. Reach out to Rubén J. Padrón today to learn more.